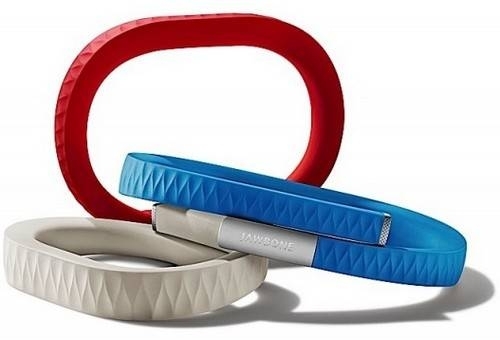 Up by Jawbone is a flexible wristband that constantly manages and tracks your health via Bluetooth and an iPhone app. This extremely light band is hardly noticeable. It automatically adjusts to the circumference of the wrist, and the outer layer is sweat-proof and water-resistant. So, whether I am hiking, or trying to beat the rain I don’t have to worry about damaging UP’s sophisticated technology. In addition, the battery last up to ten hours on a single charge, so I can go the whole day without having to worry about losing track of the progress throughout my day. Consider UP a personal trainer. We all want to know how much sleep we get, what we are eating, how far we have walked or run, or even the amount of steps taken in the course of a day. UP does just that. Without having to physically log my progress, UP does it all for me through a Bluetooth connection to an app on my iPhone. There are even personal challenges I was able to set up, such as eating a healthy meal for dinner. With these challenges I can participate in a social network and compete with my friends. I set up my iPhone app to use the wristband in less than ten minutes. The instructions were simple and really intuitive. So, if you’re on the go and don’t have time to keep to a tight gym schedule, UP is the perfect low-commitment device to stay health-conscious. At first I was hesitant to have a band around my wrist at all hours of the day, but for the colder months of the year when I am less active, I realized I can keep it tucked in under my sleeves. And no one noticed. However, at times I wasn’t sure if it was working and the iPhone app seemed to require too much attention. UP currently comes in black and in three different sizes and connects with all iOS devices. There’s always the cheaper Nike+iPod kit, but this offers a less comprehensive review of your progress. But if you want to pal around with a neat gadget and have some extra cash to spend, UP is fun and would make a neat gift for yourself or a friend.